Is it just me or do you agree that Actress Lisa Bonet hasn’t aged a bit since her days of playing Denise Huxtable on the popular TV Show A Different World? 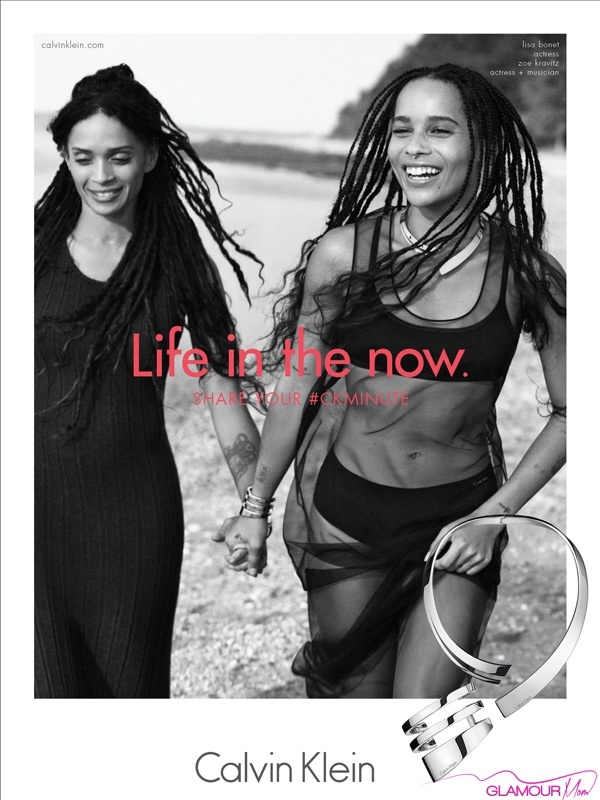 The gorgeous mother who also happens to march to the beat of her own drum, looks amazing posing with her 27-year-old Actress/Daughter Zoë Kravitz in a new Calvin Klein Watches & Jewelry ad campaign. The mother and daughter duo are photographed holding hands, smiling and walking along the beach rocking all black. Of course, both ladies are wearing their signature natural hair looks, which only adds to both the glam and sexiness of the ad campaign. We over at BlackGlamourMom are loving the new ad campaign just as much as we love seeing the mother and daughter bond highlighted within the campaign. Thoughts on the new Calvin Klein ad campaign? Let us know in the comments section below.